Paraffin wax is a material derived from petroleum, coal, or oil shale that has been distilled into waxy, saturated hydrocarbons. This distilled wax substance can be used in a wide variety of industrial, domestic, and cosmetic applications. Depending on what is is being used for, the wax can be chemically modified so that it is better able to facilitate that use (such as adding different forms of polyethylene to increase the amount of carbon and thus increase thickness). A popular use for paraffin wax today centers around the use of hot wax for the hands or feet to remove impurities in the skin, increase circulation, ease joint pain, and provide an overall sensation of relaxation. To use paraffin in this way, you need the best paraffin wax bath. Whether you are looking for a general skin rejuvenation therapy or a pleasant, muscle relaxing soak, a paraffin wax bath is the ideal cosmetic option. There are many different styles and types of paraffin wax baths available, and depending on the specific purpose that you are hoping to fulfill will help you decide which bath will work best for you. There are certain qualities of paraffin wax baths that you should be aware of before you make your purchase. While all wax baths serve the same general purpose, they do not always work in the same way and some offer different options that, while pricier, may be worth the investment. Since paraffin wax baths can be used to treat the skin of the feet, hands, and elbows, it makes sense that they come in a variety of sizes. If you are in need of a wax bath just for your hands, then a smaller, most likely less expensive option would work just fine. However, if you are considering a more multi-purpose use for your wax bath, then a larger model would be the best choice. Always keep your specific needs in mind when choosing your paraffin wax bath. Paraffin wax has a very low melting point, which is what makes it such a great choice for cosmetic purposes. Nearly all paraffin wax baths come with temperature adjustment options, but some are more varied than others. 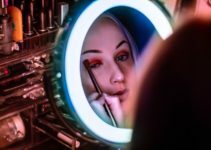 Depending on how sensitive your skin is to heat may help you decide which option works best for you. If you are prone to burning or skin irritation due to heat exposure, then it would be best to avoid wax baths that have a higher temperature range. After a relaxing wax soak, it will be necessary to clean your bath so it is ready for its next use. Choosing a paraffin wax bath that is easy to clean will leave you with less mess and stress in the aftercare of your beauty treatment. If easy cleaning is an important function to you, then keep your eyes open for those paraffin wax baths that come with either detailed cleaning instructions or specially engineered cleaning solutions. Now it is time to take a look at some of the top-rated paraffin wax baths on the market today. Each wax bath has its own advantages and disadvantages, and it is important that you educate yourself on those factors before you choose a wax bath to purchase. 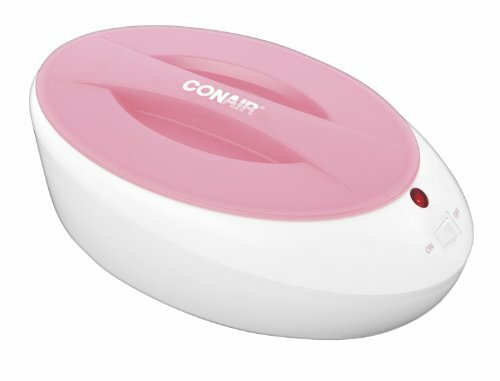 The Conair Thermal Paraffin wax bath is compact and perfect for soaking hands, elbows, and heels. The bath measures 5.6 inches deep, 9 inches long, and 3 inches wide, weighs a light 3.2 pounds, and comes in either a pastel pink or purple. Each bath comes with a starter kit of one pound of aloe vera wax that is perfect for soothing dry, cracked skin. This paraffin wax bath is on the smaller side, and can only hold one pound of wax at a time. It also takes a bit of time for the bath to fully melt your paraffin wax, so patience is necessary for optimal results. Standing at around 6.2 inches tall with a depth of 9.2 inches and a length of 12 inches, this paraffin wax bath can be used comfortably on the hands, elbows, heels, and smaller feet. 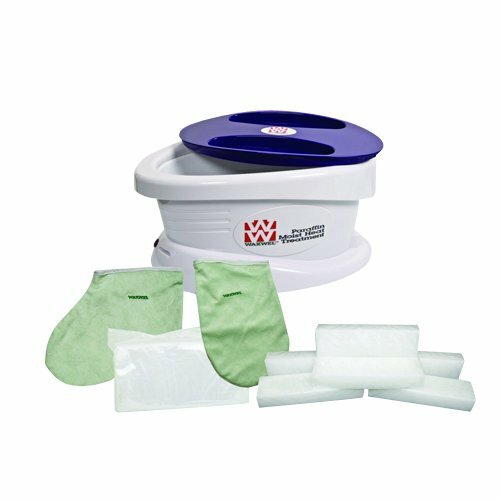 The entire bath weighs around 6.31 pounds, which makes it easy to move around, and comes with three pounds of hypo-allergenic wax and twenty liners to make cleanup easy and relatively mess free. The HoMedics paraffin wax bath is also equipped with a locking lid to limit spills and heat exposure when you are waiting for the wax to melt. On the floor of the bath, there is a plastic grate that keeps your body parts from touching the heating element below, making it safe and efficient. 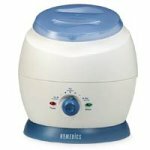 This three pound capacity paraffin wax bath includes a temperature adjustment knob that makes this particular bath highly customizable for users. 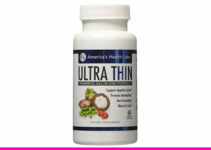 The bath itself is large enough to effectively treat hands, elbows, heels, and smaller feet. For ease of use, the bath also includes an indicator light that will let you know when it is ready to use. Revlon has long been a trusted name in beauty products, and their paraffin wax baths are no exception. This particular wax bath measures 10 inches wide, 15 inches deep, and 9.5 inches deep and weighs a light 7.4 pounds. The bath can hold up to three pounds of melted wax, and comes with a starter three pounds of rain scented wax, two thermal mitts, and thirty glove liners. 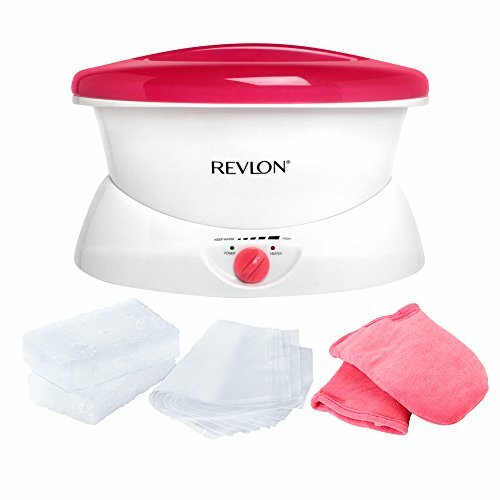 The Revlon Moisturizing Paraffin Bath also comes with a temperature range regulator and takes about an hour to reach optimal heat levels for melting. This HoMedica paraffin wax bath is made specifically for hand use, and offers a tub construction that is cooler to the touch than most other wax baths even at the optimal wax melting heat. Add to that its temperature adjust dial and you have a paraffin wax bath that is safe and effective to give your dry and beleaguered hands a much needed soak. The HoMedics Personal Hand Paraffin Spa comes with three pounds of pure paraffin wax and thirty plastic liners to make clean up a breeze. Measuring at 10.8 inches wide, 13.3 inches long, and 7.5 inches deep, this paraffin wax bath is larger than some and good for soaking hands, feet, and elbows. The bath weighs about 5.75 pounds, making it lightweight, and can hold up to five pounds of wax at a time. The kit itself comes with three pounds of lavender infused paraffin wax, two thermal mitts, and fifty plastic liners. Compared to many other paraffin wax baths, this particular bath melts wax more quickly in about 45 minutes. 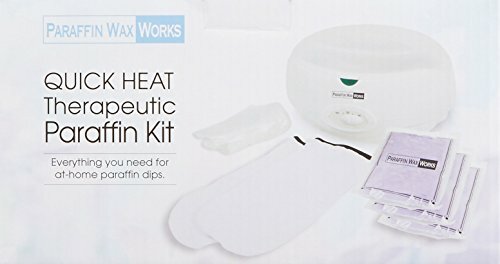 The Waxwel Paraffin Wax Bath Unit comes either by itself, or you can pay a little extra to add on one of six scented kits, that comes with six pounds worth of wax blocks, 100 plastic liners (for both hands and feet), one thermal mitt, and one thermal bootie. While this wax bath is pricier than others, it is large enough to fit a size 12 1/2 men’s foot and is made of durable materials. The bath can hold up to six pounds of wax at a time, and has an internal temperature regulator that keeps the wax at the standard 125 to 134 degrees Fahrenheit while in use. The Levany paraffin wax bath takes only twenty minutes to melt upwards of two pounds of wax, and keeps warm at a range between 131 and 158 degrees Fahrenheit while in use. The bath comes with two thermal mitts, 50 glove liners, a small brush for application on other parts of the body, an insulated grid to prevent hands or feet coming in contact with the bath’s heating element, and three 200 gram bags of paraffin wax. For larger hands and feet, the Levany paraffin wax bath is a great choice at a moderate price. 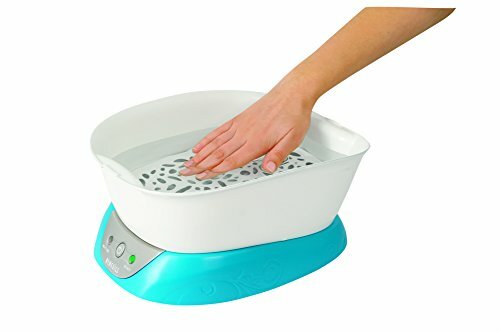 This Therabath paraffin wax bath is exceptionally deep and can hold up to nine pounds of wax, giving your hands, feet, and elbows a very comprehensive wax soak. 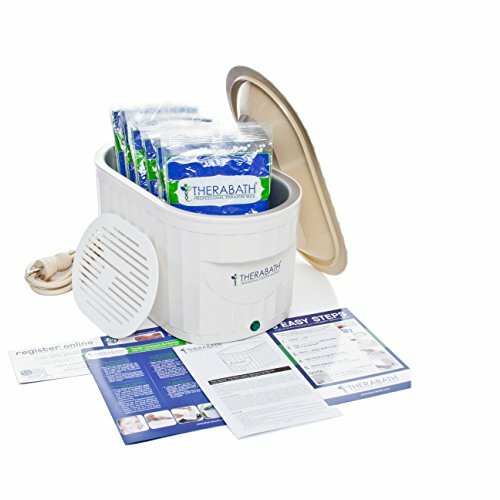 The internal temperature regulator of the bath keeps melted wax at a safe and comfortable 126 to 140 degrees Fahrenheit range and is ideal for treating dry, rough skin or joint pain caused by arthritis. The Therabath design is made of a high quality anodized aluminum shell that is both lightweight and energy efficient. This paraffin wax bath features a large, deep stainless steel tank that is insulated to retain the maximum amount of heat and prevent accidental burning from handling the bath. The wax bath’s internal temperature regulator keeps melted wax at a comfortable 126 to 134 degrees Fahrenheit, and has a six pound wax capacity. 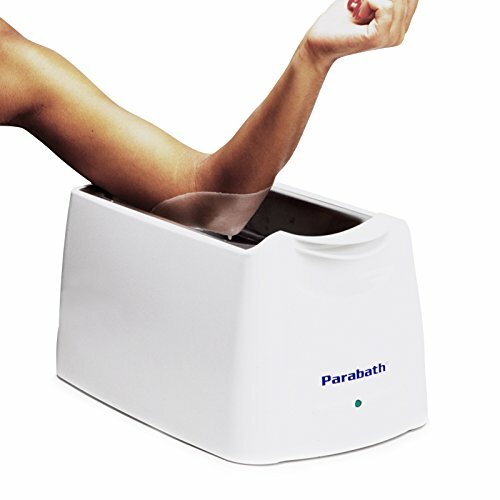 The Parabath Paraffin Wax Bath comes with a starter kit of six pounds of unscented wax so that you can start soaking as soon as the product arrives at your home.